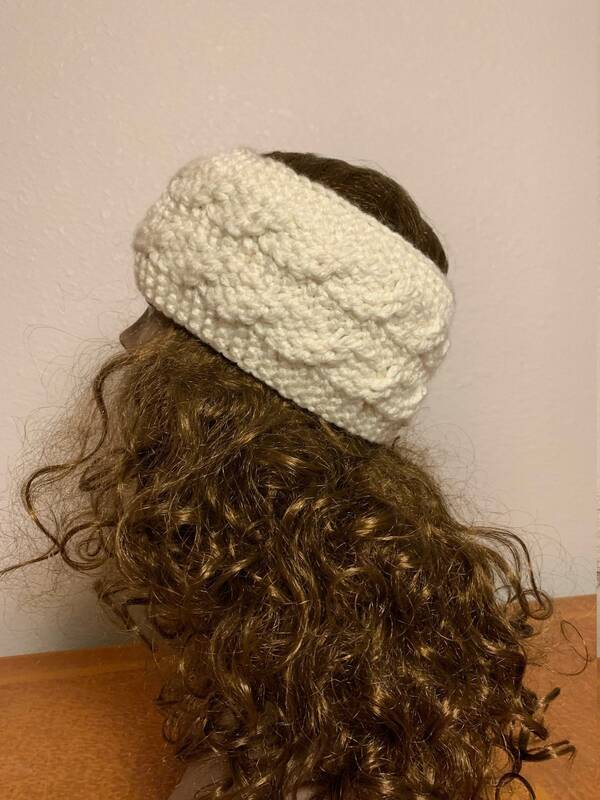 The Cabled Headband is a stylish and warm headband that is knit on any 3/8” gauge loom with a minimum of 18 pegs (like the All N One loom or Knitting Board’s premium plastic looms). 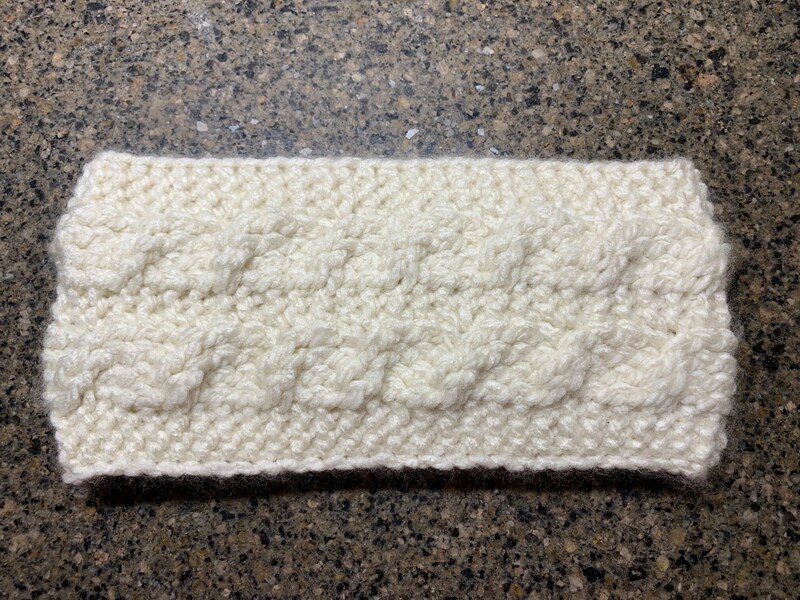 The headband uses 108 yards of a bulky yarn. Loops & Threads Charisma yarn in the Off White colorway was used in the sample. 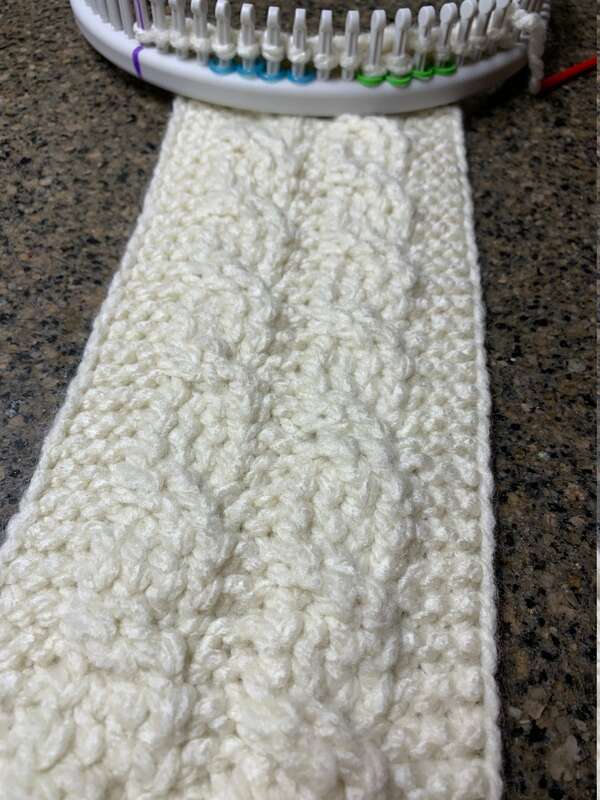 This pattern is suitable for an intermediate loom knitter, or an experience novice who is ready to learn a new skill. 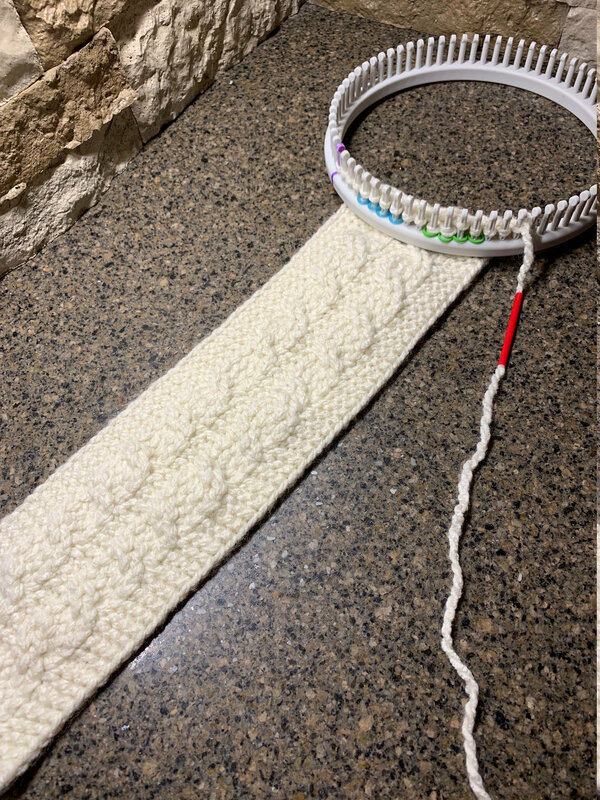 The pattern includes step by step instructions to create the cables on your loom.